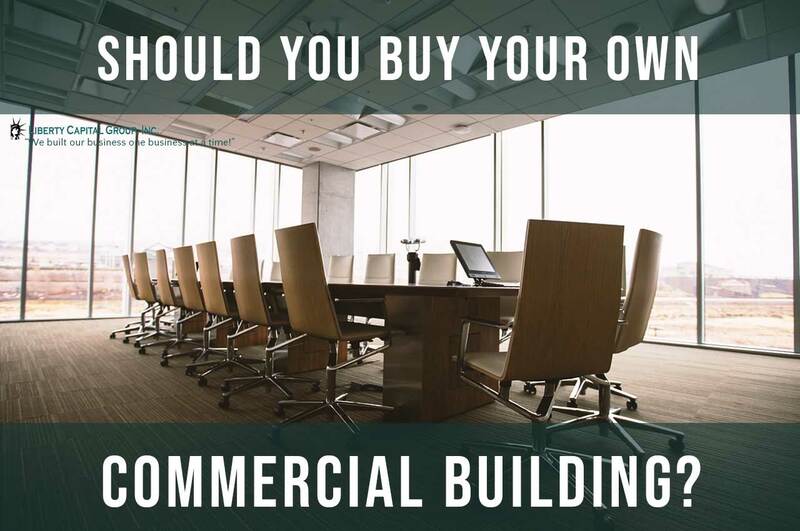 Should you buy your own commercial building for your business? Liberty Capital Group | Small Business FundingBusiness Loans ArchiveShould you buy your own commercial building for your business? Deciding to start a business can simultaneously be an exciting and frightening thought all at the same time. We hear so many stories of successes and failures around us that it’s hard to distinguish fact from fiction. However, the one common thread among all these stories is that the business is always designed around its owner. All good businesses have to be built around a solid foundation, and yours is no exception. Before you can even begin to decide how to run your business, you have to decide where to run it from. Some lighter ventures can be run off of small non-commercial spaces while other large businesses need a dedicated commercial space to operate out of. It’s best to avoid the pitfalls of running a business in the wrong space and having to deal with long-term damages. Location is key to running a good business just as much as any other aspects of running a small business. You wouldn’t want to open a retail store where foot traffic is light and your business is dependent on foot traffic. Conversely, a business that doesn’t depend on foot traffic shouldn’t be paying for a retail space where foot traffic is heavy. With that in mind, here’s something that will help you better understand and decide how to approach buying your own commercial business, renting an office space at the right place and location that’s suitable to your businesses. A study shows, business owners mostly decide where to place their business based on where they live. Most CEO and business owners live and place their businesses within a short driving distance from their office. No doubt, the first step to owning a commercial business is actually to finance it; hardly any business start-up or established can afford to buy their own building. Everything from your stock, to your employees, your utilities will require a significant investment but above all, so will your commercial building. 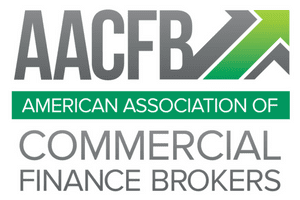 There are many ways to approach commercial building financing with some methods more suitable for you than others. In order to find the right solution for your financing needs, it is best to look at your requirements and how flexible the turnaround time is, your growth plan and the future of your business. You could use your savings as a way to invest in your business but what happens if you have no savings? This is where commercial business loans come in. You can opt for a wide variety of commercial business loans from private lenders as well as banks, or even SBA backed 504. There are many flexible options available for prospective business owners, and you get specialized loans depending on which stage of the business you’re at, like any type of business you operate. If you’re a farmer, there could be some low-interest loans available within the community bank. If you’re a manufacturing or even medical professional each could have its own specialty financing that is suitable for your business. Of course, you do have to pay the loans however it is amortized that will make the payment affordable in which doesn’t harm your cash flow to operate your business. You must also weight the cost savings of renting versus buying, the location and the tax consequences of owning in addition to building wealth (asset/equity) for your business. However, for the most part, this is a hassle-free process that will allow you to get your business running immediately if you have the right place and location. At the end of the day, you will have your commercial building that you can operate your business out of with the utmost ease from dealing with the landlord. You will have the flexibility to add to do anything you want without having to worry about getting permission for any expansion build-out that might require as you grow your business. Leasing an office is the most common and readily available way to run and start a business without having the means to purchase a dedicated commercial building directly. Many businesses aren’t suited to own a business unless you have a plan to not only occupy yourself but to generate income through rent income however it comes with responsibilities and expenses as well. Leasing an office is typically an office that is rented out to businesses for a certain contract period. The business proprietor is charge a flat monthly rate for using the office and its facilities. Simply put, the building owner will let you use space for your business in exchange for a fixed pre-set negotiable lease agreements. There are many leasing types of agreement. Sometimes going to an RE Agent/Broker to negotiate a lease might be helpful to make sure you get the right place and have some expert that can negotiate on your behalf. However, there is some property management that shies away from Real Estate Brokers because that’s an extra expense that the property management has to pay thus must pass to the renters through higher rent. So if you find a place that doesn’t allow Broker you have to negotiate yourself but you can still hire an attorney to review the lease agreement to make sure you’re being represented and that your best interest is protected; after all, this is your future or the future of your business or livelihood. Renting an office will in many variations. Sublease for instant sometimes will come with things such as computers, office furniture, water dispensers, air conditioners, and electricity where you can be plug and play. This means that not only do you not have to worry about buying a dedicated commercial space but you also don’t need to buy additional equipment that your business needs. The great thing about sub-leasing an office is that you’re never tied down to anything. You can always opt out if you feel like you made the wrong choice or if you feel like your business isn’t as profitable for you anymore. This can help save you a ton of grief and regrets down the line with the advantage of not having hefty business debt tying you down. Now that you’re somewhat familiar with the different types of office space that you can get for your business, it’s time to decide which is right for you, an office lease or an ownership. There are many advantages and disadvantages to choosing to rent vs own. You will have to decide which of these methods of getting a commercial business is best for your business and for your personal needs. Some of the most basic differences are as follows. Ownership will mean that you have to pay a very large sum of money upfront for a down payment, pay for your own build-out if not added to the financing which all can be amortized. However, this will serve as a one-time investment, and you won’t spend any additional money on top once you’re moved in. Likewise, with office lease, you won’t have to pay upfront; except, for first and last security deposit and maybe some build out but depending on the landlord they might pay for the build out if you sign a long-term agreement, but you will have to pay more overall, meaning a great short-term solution but not a long-term one. Getting an office means that you will be able to get an office space in a much better area than you would with ownership. You can also choose to switch your business’ location without having to worry about being tied down to a single office that you have over-grown or it’s too big for your business, especially if the office is not subdivisible. Direct ownership gives you more flexibility with how you can modify the office space. You remodel or renovate your office as many times as you want without having to seek approval from anyone. In office leases, this is much harder as you have to convince your landlord and spend money on a renovation that may be useless to you once you move out. You can also rent out excess space you’re not using to another tenant with an owned property. This is something you simply can’t attempt with a leased property without permission and if you do you have to sub-lease it to accommodate the excess space. Having bought your office space means you have an asset that will appreciate its value over time. In contrast, with leasing an office, you won’t have a permanent asset that you can rent out or sell in the future. Owning property means you will be subjected to all kinds of property taxes levied on you. On the bright side, you can always those costs refunded to you in tax returns. With leased property, you won’t have to face any kind of levied taxes on you, but you may have to face other costs such as increased rent each term. However, the benefit of leasing an office is that rent and other expenses associated with renting as tax deductible which could be significant tax savings in the end. One of the crucial steps to operating a business is to acquire the necessary funding that you will need. Now it’s ideal that you have some money saved up to invest in your business. However, even if you don’t, you can still manage your business just fine with external funding. There are many loan options available for business owners that are in dire need of financing. The many different types of loans ensure that you get the best deal depending on your circumstances. You can opt for a standard loan with basic turnaround time and standard interest rate. Or you can opt for special low-interest business loans provided you meet the business debt service ratio, cash flow operating expenses and credit score requirements needed. You will be presented with many loan options as you approach willing lenders and banks with your business depending on the location and loan to value of the property and down payment you have and is required. The great thing about business loans is that they provide some of the lowest interest rates of any other kinds of loans available because there is inherent collateral built-in in the property and the potential cash flow it can generate from rental revenues. This will ensure that you can gather the necessary startup capital for your business without having to drown yourself in debt. Some banks will even offer extended payment plans to make sure you can pay off the loan comfortably in time. Long-term loan solutions typically provide a period of 5 to 20 years depending on the bank and their requirements. Employing a cost and savings analysis is one of the most crucial and the most overlooked steps to owning and operating a business. Despite having such a daunting name, it actually is a very simple concept. In cost and savings analysis, you’re tallying all the costs involved in your venture while simultaneously the benefits you’ll be receiving from those costs. After that, it’s as simple as figuring out whether the costs associated are worth what you’ll be receiving in the end. Cost and Savings Analysis is also sometimes referred to as CBA or Cost-Benefit Analysis. This brings us to the second part of the equation. Once we have evaluated our costs, we have to determine how much we have procured regarding the down payment, build-out expenses, mortgage, property tax and other operating expenses your business will need to run your business. For a successful business to function, the savings have to outweigh the costs by a significant amount. We can check this by evaluating if the costs of resources, services, and product provide a decent amount of value to the business. This makes cost and saving analysis a valuable tool for small time business owners and entrepreneurs to estimate the success of their businesses. There are several tax benefits to owning your very own business. The tax system is particularly set up to favor small businesses as they have been known to create jobs for many people who would otherwise remain unemployed. Here are some of the most basic tax deductions you can expect as a small business owner. Apart from having an initial deduction from owning commercial property, you can also be given leeway on taxes on the basis of depreciation, cost of construction labor, and even on certain utility payments. In addition to that, you can even deduction on the upkeep costs of the property such as remodeling costs or the cost of any repairs. Insurance costs will further add more tax deduction that you can get off your property. On top of property costs, you can get tax deductions on automobiles that are used for business purposes. Along with that you can receive tax deductions on their cost of upkeep as well as tax deductions on your fuel costs depending on your mileage. Things like supply costs as well as delivery costs are tax deductible as well. These tax deductions are commonly applied on cleaning products and other necessary supplies. Your employee wages can be tax deducted up to a certain extent along with any special employee benefit programs that you offer. Special programs such as education assistance and retirement programs can get their own share of tax deductions. You can receive a significant tax credit or deduction on your education costs. 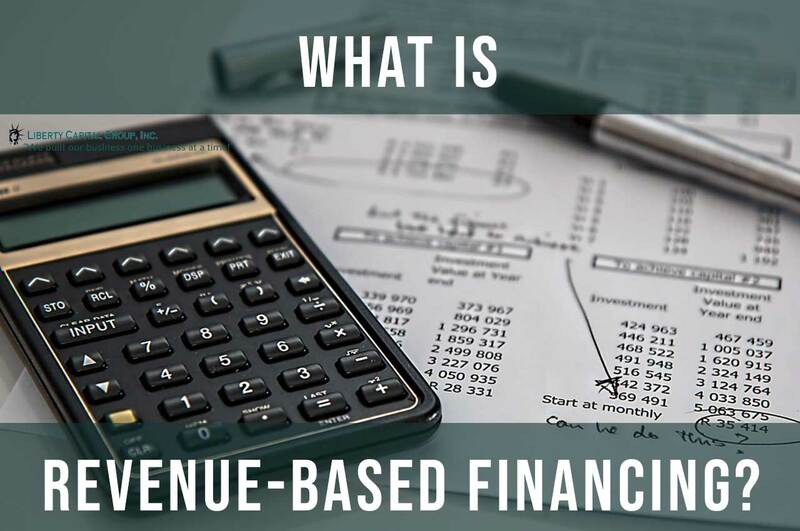 If you can prove that your education will greatly benefit your understanding and efficiency in running your business, then its ground enough for a tax deduction. Equity potential is used for gauging the degree of investment that can be safely poured into a business to see decent returns. There are many different methods for evaluating your business’ equity potential. You can choose to do this yourself or hire a third party to run the numbers for you. Of course, this doesn’t mean that your property only has to run off equity investment. You can even opt to acquire your capital through loans or through a combination of loans and equity. This will ensure that you get the best possible recoupment for all your hard work and investment. Running a business isn’t always as smooth as you might imagine. This is especially true if this is your first time running a business. You’re almost expected to face quite a few hurdles in your time running the business. We can’t always prevent tragedy, but we can learn about it and strive to better prepare for it. This way you’ll be ready when something happens and be able to recover quickly. Here are some of the most common risks associated with owning your own business. Owning a business is not like working a regular job. You won’t have a steady stream of cash flow that you will get from a regular paycheck. Instead, you will have to rely on periods of profit and loss to get by. Having to gather the right funding for your business is potentially risky and you can often end up in a serious amount of debt over it. Businesses work on supply and demand. If your business model doesn’t end up fulfilling any market demands, it could end up spelling serious problems for you. To run a successful business, you have to pour in your time and effort. This could often result in lack of time in your personal life or deterioration of your personal health and well-being.